CHICAGO -- A motorcyclist was killed in a crash early Saturday in the Riverdale neighborhood on the Far South Side. 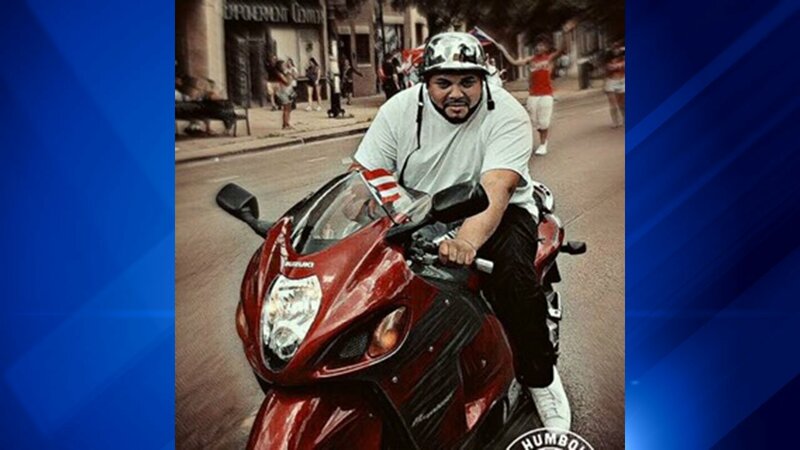 Luis M. Irizarry, 24, was riding north in the 12100 block of South Doty about 3:40 a.m. when he lost control of the bike and fell off onto the asphalt, according to Chicago Police and the Cook County medical examiner's office. Irizarry, of the Northwest Side Albany Park neighborhood, was taken to Roseland Community Hospital, where he was pronounced dead, according to the medical examiner's office. An autopsy Sunday found he died of multiple blunt force injuries, and his death was ruled an accident.